- Select Option -3 3/4 in.4 1/2 in.5 1/3in. 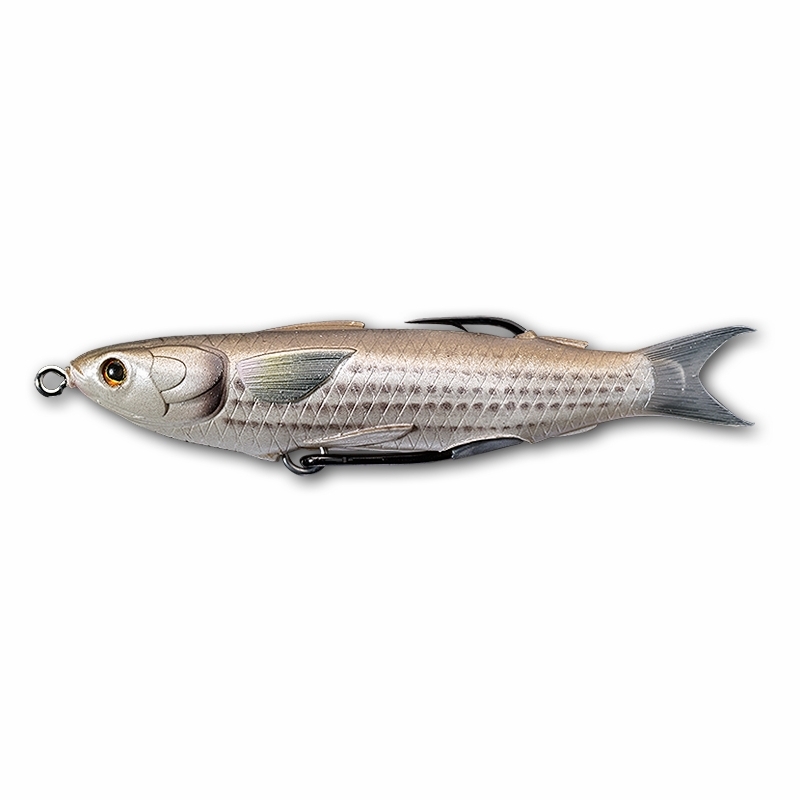 The LIVETARGET Hollow Body Mullet Lure is a topwater hollow body lure with a realistic profile and real life color designs. Ideal for walk-the-dog or creating a bubble trail by twitching it across the surface of the water. It features a hollow body snag-proof design. This design allows it to be skipped under docks and fished through floating grass and mangrove cover. Comes readied with extra-strong forged hook. 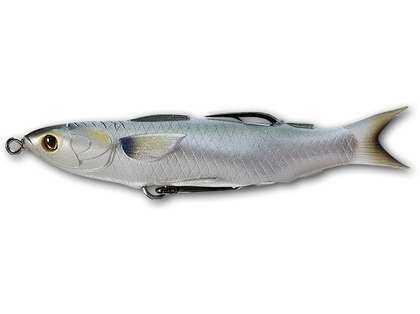 I bet you anything if you were fishing back canals a weakfish would slam one of these. 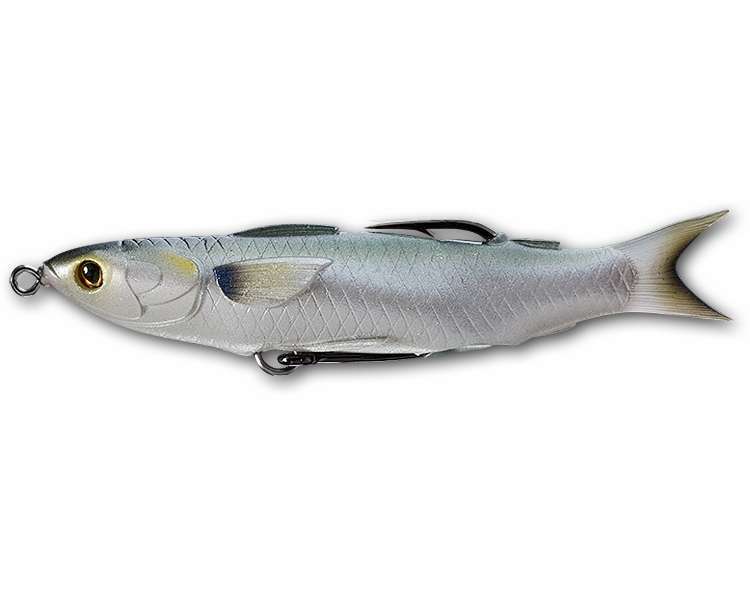 Used this LIVETARGET MUH115T721 Mullet Hollow Body Lure - 4-1/2in in the outer banks of NC. the other day in the sound and caught a few flounder and a puppy or two plus a small king hell of a bait for a plastic but the king tore it up pretty good. You would need the 1oz size for the ocean this one did not do very well in the surf but in skinny water it is deadly. went to the outer banks of NC. the past weekend and used the LIVETARGET MUH85T721 Mullet Hollow Body Lure - 3-3/4in in the sound and caught several flounder and a couple of puppies with it. 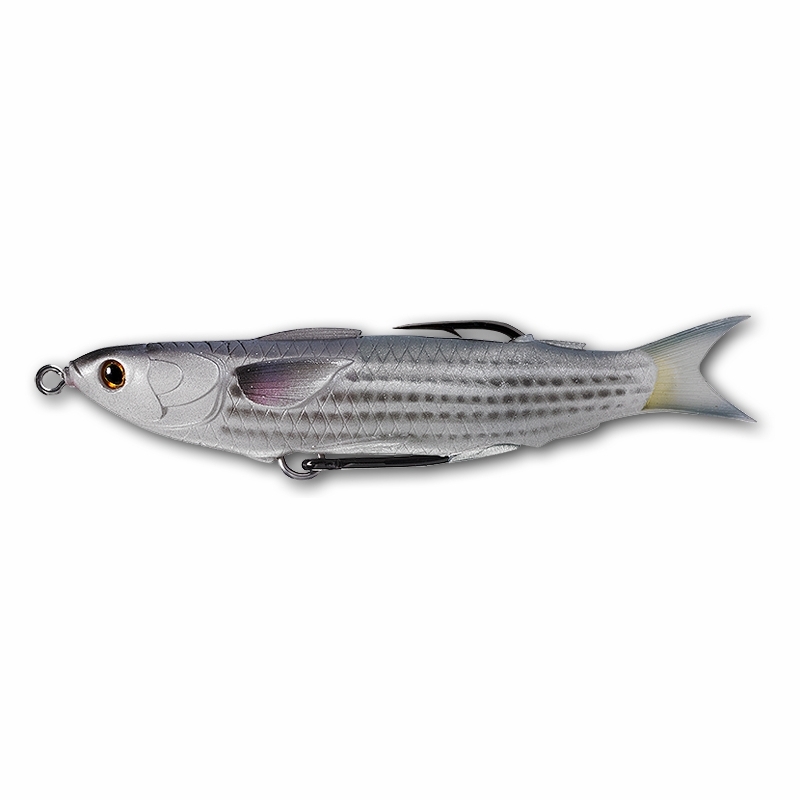 Does well in skinny water good action shipping was fast good product. Is it a rugged bait! Will it hold up to multiple fish! Its top water right not suspended! How does it not sink! It is a rugged bait but i would try to avoid toothy fish. The rubber is strong and is good for multiple catches. This lure is top water like most top water frogs. It does not sink because of its minimal weight and hollow body build.